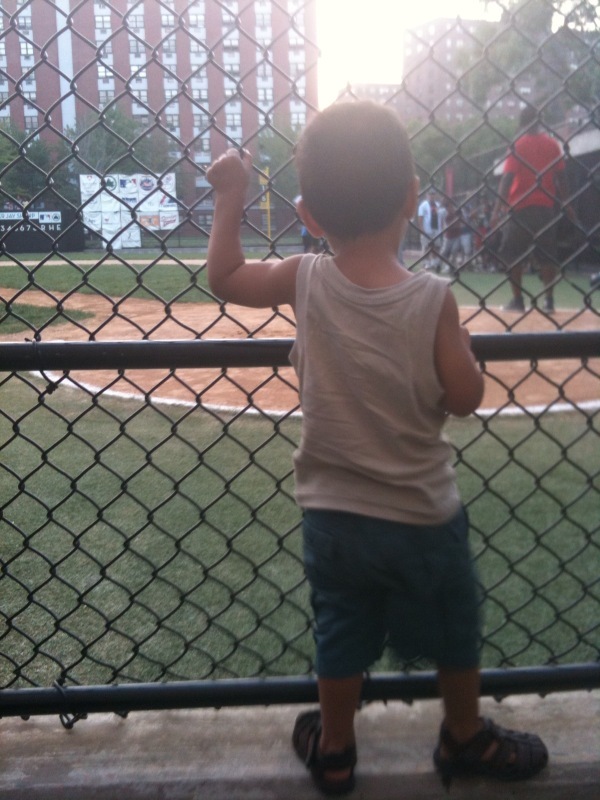 My son has the likes-to-watch-sports gene. He did not get this from me. I don’t plan to point things like this out to my kids. There’s this unspoken fear of the moment when we will need to address the fact of the donors in our kids lives. There is also this urge to pretend since we don’t know who the donors are, that we can make them go away. Part of me wants my honey and I to be the only important people in the creation of our kids. The other part of me knows that the donors are important. Not only are they important, but I feel like even though I don’t know their names or their adult faces, I feel like we live with them. We know them better than we know our good friends. I’m so glad for them. I’m so glad for whatever circumstances lead to them walking in to the cryobank, filling out all of those forms, walking uncomfortably into a little room and producing for us the ingredient that would eventually become our sons. I am confident that wherever he is, Trucker’s donor is either thinking about throwing or actually throwing a ball. Cakie’s donor is charming someone at this very moment. I’m sure of it. The discomfort comes from knowing that the donors are a question mark. Will the boys be driven to try to identify them? If they do find them, will these men disappoint my sons? Since I have two different donors, will the boys have two uncomfortably different experiences surrounding their donors? I am sure that they will want to know them, even if we down-play their role. Once they take a biology class and see the fruit flies and their eye colors, once they read a study on identical twins, or venture into my grandfather’s meticulously researched geneology of his side of my family, they will want to know. I know this. But I wish I could take that donor question mark and stretch it straight into an exclamation point. A sure statement, showing a strong emotion.